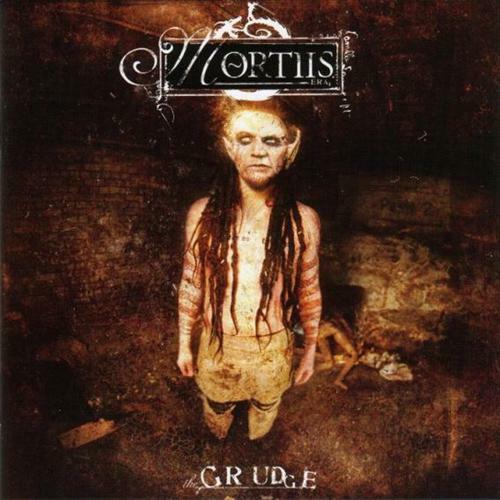 The Grudge is the 7th studio album by Norwegian artist Mortiis. It is the first album in the “Era 3” period of his career and is notable for being the album on which Mortiis evolved from a solo project to a full band as well as continuing the aggressive musical trajectory, which started out as long dark ambient songs before turning into angst-ridden synthpop and now industrial rock for the latest incarnation. For a few seconds at the start of Broken Skin, the first song on The Grudge, you could easily be fooled into thinking that the use of synthesisers indicates a continuation of the synthpop sound found on The Smell of Rain. This is until short and sharp static bursts are injected to the mix and after a brief lull in the build-up Mortiis releases a long digitised scream with an assortment of synthesised noise before arriving at the first angst-ridden verse. This contrasts heavily with the chorus which softens up to ambient soundscaping with even-tempered singing over layered. While making use of the typical loud/quiet dynamic in rapid succession is certainly nothing new, what makes it impressive is how the two seemingly contradictory genres are woven together without making the listener think that they’re out of place. Fans of “Era 1” Mortiis will be pleased to know that The Grudge does in fact feature a short 2 and a half minute ambient song called Asthma at the end of the album that will entrance the listener quickly. It rounds off the experience in an unexpected but welcome way but it doesn’t necessarily have the same scope as the old dark ambient material Mortiis produced (mostly due to the short length which will leave you wanting more or playing it on repeat) and the more keen listeners will hear distorted voices and noises subtly planted in the background but it is easy to overlook them if you’re not paying attention. 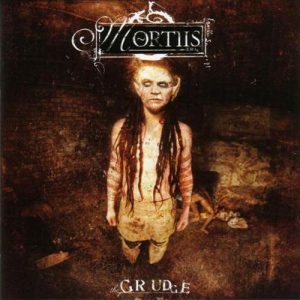 The compositions cut out the excessive moments found on The Smell of Rain which makes The Grudge a more concise experience and Mortiis comes across as a much more confident singer and has expanded his range and style by quite a margin in 3 years. He also no longer relies on backing singers nearly as much although Louise Marie Degnzman Pedersen shares the bridge on The Grudge and has a much calmer presence when put next to Mortiis. With The Grudge Mortiis will once again catch long-time fans off guard as his musical path progresses through different genres. He will have undoubtedly worked his way into a new niche audience of industrial rock fans at the same time and this album will certainly whet the appetite for future releases.